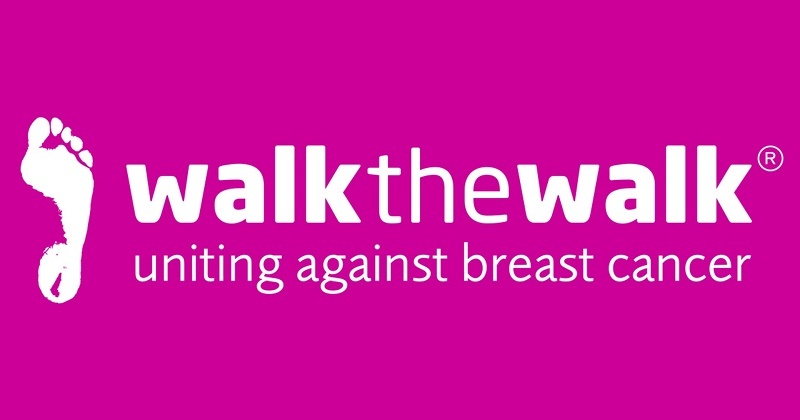 Walk the Walk is the UK’s largest grant-making breast cancer charity that is dedicated to not only raising money and awareness for vital breast cancer causes, but to also encourage women and men to become more aware of their own potential for fitness and wellbeing. We organise the famous MoonWalk overnight power walking challenges and are immensely proud to have raised over £121m, which has been granted to research into breast cancer and to improve the lives of people living with cancer now. Join our 2,000 strong team of incredible volunteers at The MoonWalk London on 12th May to enjoy a different kind of Saturday night and help to raise millions of pounds whilst doing so! We are looking for dedicated, amazing volunteers to support us at The MoonWalk London – 15,000 women and men walking either a full or half marathon in their fantastically decorated bras, raising money and awareness for breast cancer…quite a sight to behold!! The pre-challenge party is roughly 5pm through to midnight on Saturday 12th May based in our walker’s village, MoonWalk City. Help us create an exceptional atmosphere by joining one of our 24 different teams, which means there is definitely something for everyone! Are you a people person, that is the life and soul of every party? Welcome our walkers at the Entrance Gate, answering walker queries in our Directional Team or get hands on in Tattoos & Balloons! Are you an unsung hero that prefers something a little less lively? Prepare fruit for the walkers in the Kitchen, keep MoonWalk City tidy with the Clean & Recycle Team or distribute essential kit to our Volunteer Crew on the Volunteer Tent Equipment Desk! Not sure what you want to do? Let us know what your skills and experience are and we’ll find the right role for you! Join our 2,000 strong team of incredible volunteers at The MoonWalk London on 12th – 13th May to enjoy a different kind of Saturday night and help to raise millions of pounds whilst doing so! Walker village (MoonWalk City) based roles are roughly 10pm on Saturday 12th May through to 6am Sunday morning. Times for our roles on the route vary depending on where you are stationed. The earliest volunteers start around 7.30pm on Saturday 12th May, the latest start around 11.30pm and last roughly 8 hours each. Are you a night owl that always has a smile on your face? Become a Route Marshal and cheer on the walkers as they pound the pavements or hand out refreshments and fruit at a Service Station. Have you ever seen a sunrise? Now is the time at Clapham Common! Give out hugs as well as medals in the Finish Line Team or organise and return walker bags as part of our Baggage Team. Join our 2,000 strong team of incredible volunteers at The MoonWalk London on 13th May to enjoy a different kind of Sunday morning and help to raise millions of pounds whilst doing so! Support our walkers on the most testing and inspirational part of their challenge! We require your help from 6am on Sunday 13th May through to roughly 12pm once the event has finished. Have you wondered if the centre of London is ever quiet? Find out by manning one of our Service Stations or cheer on walkers as a Route Marshal. Are you an early riser, even on a crisp or soggy Sunday morning? We need you! Stay in the walker village (MoonWalk City) and return walker bags in the Baggage Team or help us maintain our standard of 98% litter is recycled in the Clean & Recycle Team. You simply need a positive and hard-working attitude for helping a great cause! In return you will meet some amazing people, raise millions of pounds for breast cancer and have the most incredible time at one of London’s most iconic events! It really is an opportunity to experience something truly unique, fun & challenging where you can donate your skills in a very practical way! A briefing pack and handbook are provided to all successful applicants. All volunteers must be over 13 years old - those between 13 & 17 must be accompanied by a volunteer over 18 years old. We value our volunteers just as much as the walkers – without your help we would not have an event! All roles will develop teamwork and confidence, no matter what you do on the night. Experienced individuals have the opportunity to become Team Leaders. All volunteers receive refreshments and a t shirt and a cap in order to feel part of the amazing experience on the night. Our Massage Team provide short warm-up massages for our walkers before they head out on their marathon challenge. Enjoy the atmosphere in the big pink tent and help boost our walkers' confidence before they set off! Previous experience is helpful but not essential. All Volunteers will receive a Volunteer Pack two to three weeks before the event – this includes confirmation of start time, briefing notes and a Volunteer Handbook. An induction will be given on the night by your Team Leader. • Providing additional support to Route Marshals. Previous experience is helpful but not essential. All Volunteers will receive a Volunteer Pack two to three weeks before the event – this includes confirmation of start time, briefing notes and a Volunteer Handbook. An induction will be given in advance and on the night by Walk the Walk staff. Event vehicles and insurance is provided. All drivers must be over 25 with a full, clean licence. • Looking out for any walkers in distress or any walkers with injuries. Previous experience is helpful but not essential. All Volunteers will receive a Volunteer Pack two to three weeks before the event – this includes confirmation of start time, briefing notes and a Volunteer Handbook. An induction will be given in advance and on the night by your Team Leader or Walk the Walk staff. All cyclists must be over 18 years of age and provide their own bicycle and safety equipment.